Help us out! 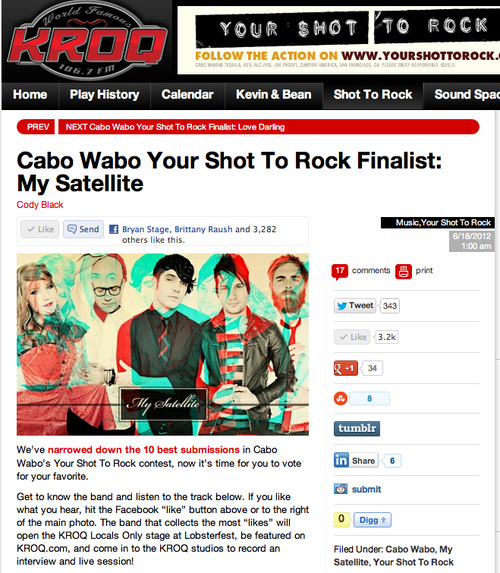 The KROQ competition is still going! Only TWO MORE DAYS LEFT!!!! It looks like we may not win this one, but we can still try! Help us get to Lobsterfest!! And even if we don’t win it all, show us that you love us. Take a moment and hit the “Like” button on this link! So many of you have worked really hard to get us to where we are, don’t stop now! Keep the buzz going! We ♥ you all!